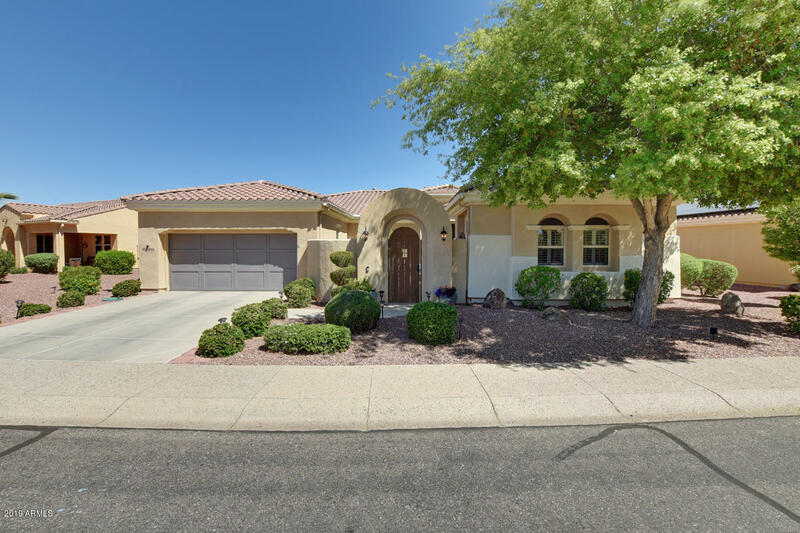 All Sun City West homes currently listed for sale in Sun City West as of 04/24/2019 are shown below. You can change the search criteria at any time by pressing the 'Change Search' button below. 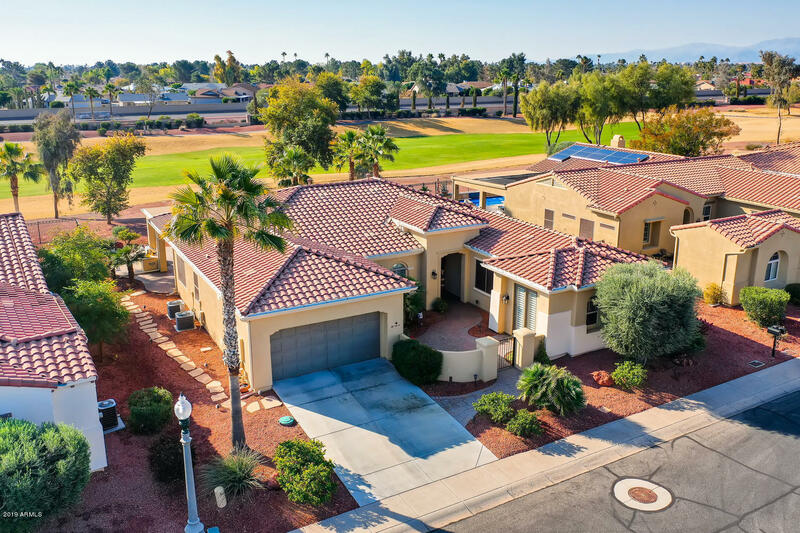 If you have any questions or you would like more information about any Sun City West homes for sale or other Sun City West real estate, please contact us and one of our knowledgeable Sun City West REALTORS® would be pleased to assist you. "EXTRAORDINARY CORTE BELLA GOLF GRANADA, Masterfully Re-Designed using the highest quality materials delivering both comfort and style. 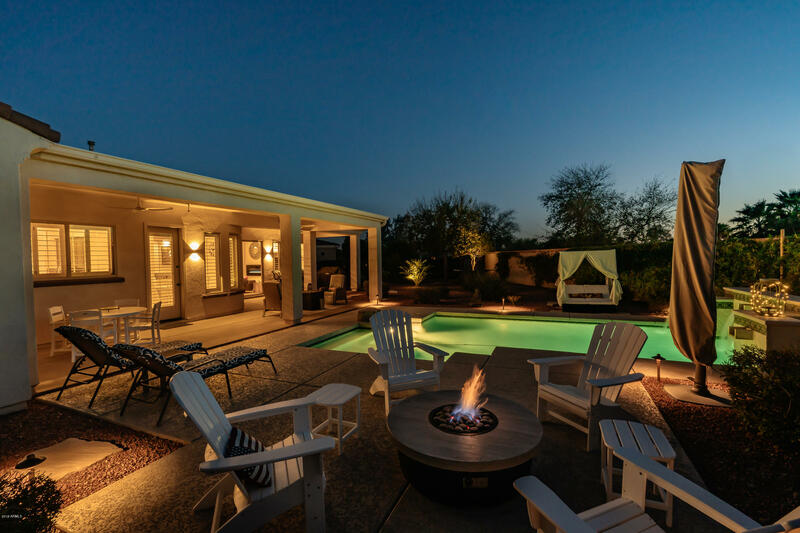 From the Enriching Lush Landscaping in the Front Courtyard to Resort Style Entertaining Golf Lot Patio, this home's remodel maintains its genuine character. Hand Painted Stenciling, French Doors, Handcrafted Kitchen Cabinety & Layout, Italian Limestone, Bertazzoni Range, Samsung Digital Refrigerator, Waterstone Handcrafted Faucets, Designer Bathrooms, Optic C"
"The 3BR/3BA; 5,371 sq. ft.; one-of-a-kind Tudor Model; built as a luxury mode of living in SCW delivers amenities not found elsewhere. A towering entry w/ ceiling fresco, Roman columns, grand & open living spaces, filigree mantle fireplace, & tray lighting in the decorative moldings all accent the home. Walls of windows lead your eyes to unparalleled views spanning across endless greens of Hillcrest Golf Course, across sparkling lakes, towards the swaying palms & mountains. 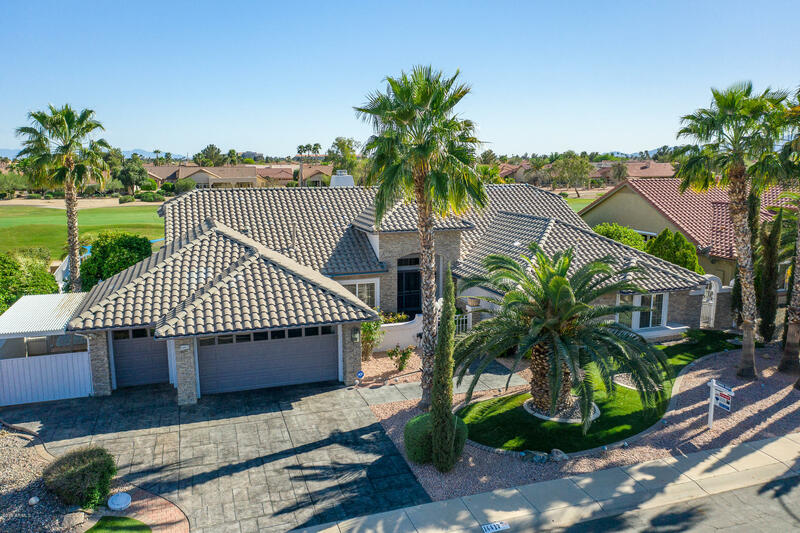 Passionate about cars"
"Located off the 1st Fairway at the Ladies Tee, Approximately 600 Yrds to the Clubhouse, this Luxury Golf Granada was the largest in Corte Bella's Del Webb Miramar Collection. Situated on a Prime 12,500 sq ft Elevated Lot,between the 1st and 18th Fairway. Home has an ''Extended Tiled Patio;'' surrounded by Flower Walls and Planter Boxes, private, yet,having lush Golf Views. Gently lived in and offering an ''almost new'' feel and condition. The home has two new AC Units (2016,) Newer Exterior Pa"
"Another AMAZING renovation from AWORTHYHOME! This Scottsdale model has been remodeled like no other.. GOREOUS gourmet kitchen with HUGE island and QUARTZ countertops. ALL NEW cabinets thru-out! Added walk-in shower in main bath. RELAXING soaker tub with water fall spout in Master bath with a redisigned extra LARGE walk in close. New closet space in guest suite. Re-designed entertainment wall unit with media center. All new HIGH-END finishes through-out with design changes to create a TRUE"
"Spectacular 180 Degree Golf Fairway Masterpiece! From the Stone Tuscany Villa Exterior to the Resort Style Patio, this Alameda has been masterfully upgraded using the highest quality materials. Inside this gem find Decorative Interior Paint, 8''Crown Mouldings , Upgraded Base Boards, Detailed Casings on Doors, Recessed Lighting, Pull Outs in Kitchen and Master, Granite , Stainless Steel, Shutters, and Custom Built-ins. 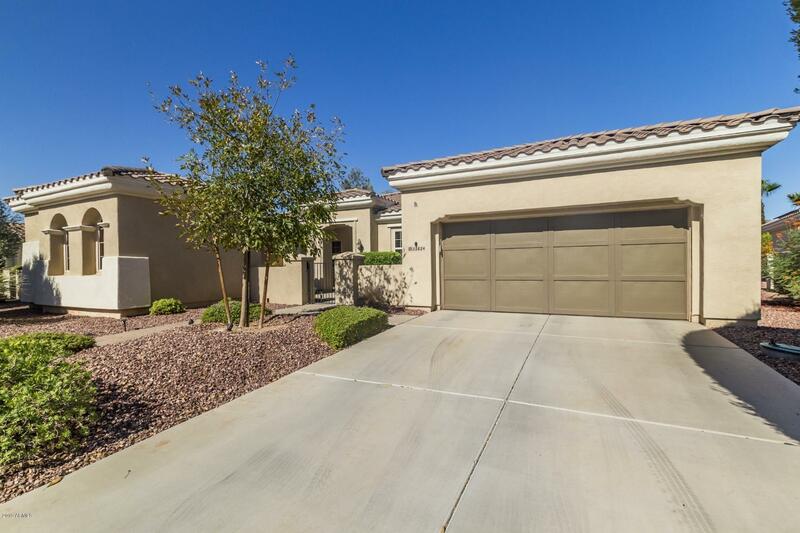 Upgraded 3rd Bay Garage to Full 3 Car, 4 ft Garage Extension, both with "
"Enjoy the wonderful Corte Bella lifestyle spacious 3-bedroom, 2.5 bath single story Alameda floor plan!Totally renovated /up dated 2015/NEW AC/furnaces was installed 2015/ NEW tankless water heater & water softener was installed 05/2018 Plenty of room for entertaining in the formal living , dining room as well as the family room. New granite counter tops and refinished cabinets in the huge open kitchen with massive island and informal dining area. Master & guest bathrooms have all new tiled s"
"Magnificent Granada Masterfully Redesigned, situated in the Center Island of Corte Bella. Kitchen Layout Reconfigured with Sensible use of space. Wolf Range, Wolf Double Ovens, Granite Kitchen Island with Cabinets, Pullout Pantry, Butler's Pantry, Custom Cabinetry with Pot Drawers, and Sub Zero Refrigerator. Walk outside to find another Gourmet Cooking space with a Lynx Grille, BBQ,, Stainless Steel Sink, Outdoor Prep Area and Large Covered Patio. 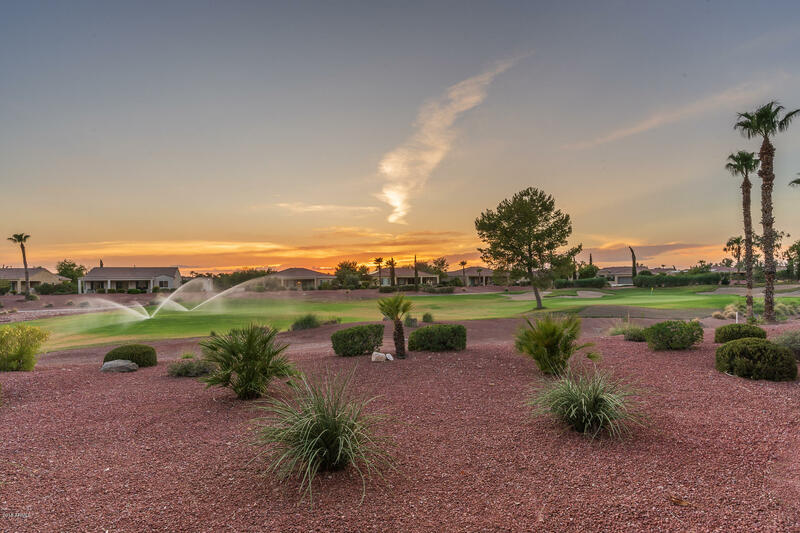 Back inside, find the tasteful upgrade"
"METICULOUSLY RENOVATED TO THE HIGHEST LEVELS, RIGHT OUT OF BETTER HOMES & GARDENS,, PERFECTLY POSITIONED FOR PRIVACY, ON SOUGHT AFTER CORTE BELLA COUNTRY CLUB'S SIGNATURE WATER FRONT & FOUNTAIN 14TH HOLE!!! 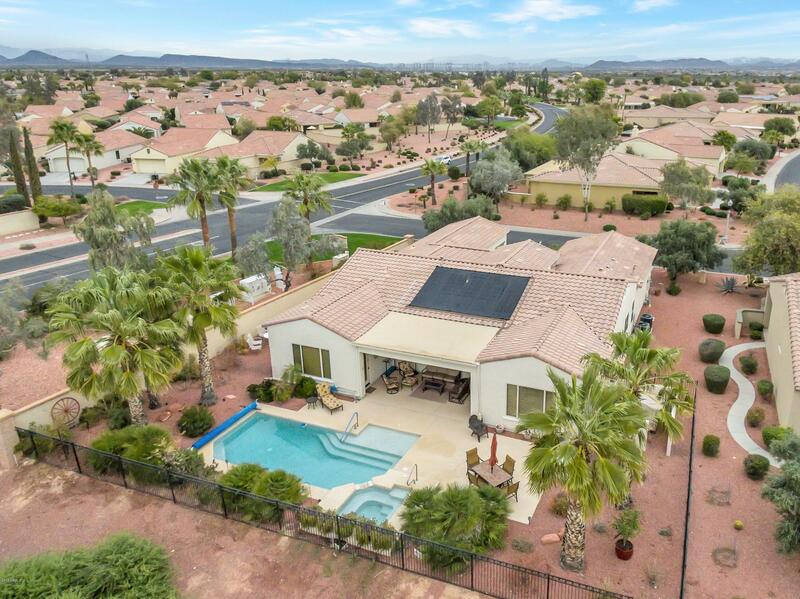 Gardener's Designed One Of A Kind Home From Front To PRIVATE BACKYARD TROPICAL OASIS BIRD SANCTUARY PARADISE w/Abundant Colorful SW Desert Flora, Waving Palms, Sitting Areas, Priceless Dramatic Sunsets, REFURBISHED HEATED POOL w/Fountains. Artist Spared No Expenses REMODELING, To Designed Am"
"Beautiful MIRADA W/ CASITA with views of the mountains, the 7th fairway and 7th green. 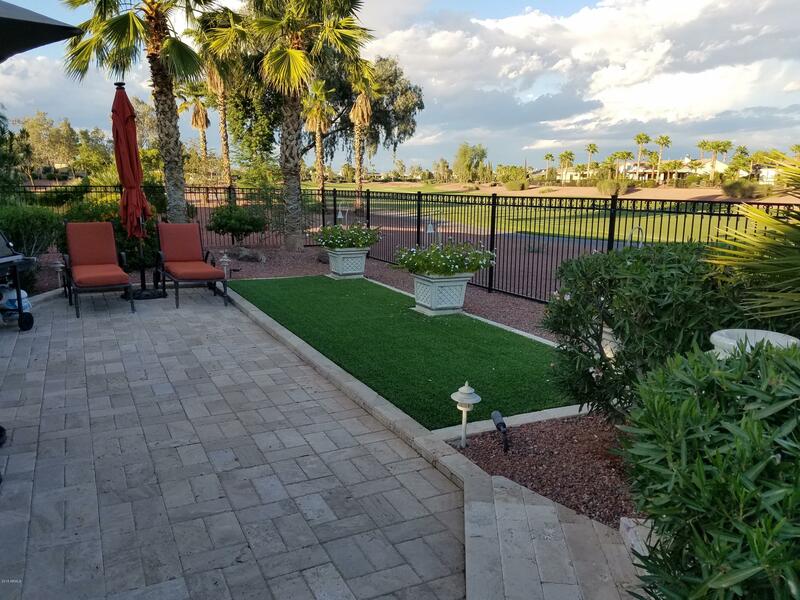 Upgrades include: FRONT COURTYARD w/ fountain; GREAT ROOM with a stunning built in entertainment center and dining area; KITCHEN W/ granite countertops, kitchen island, stainless steel appls. 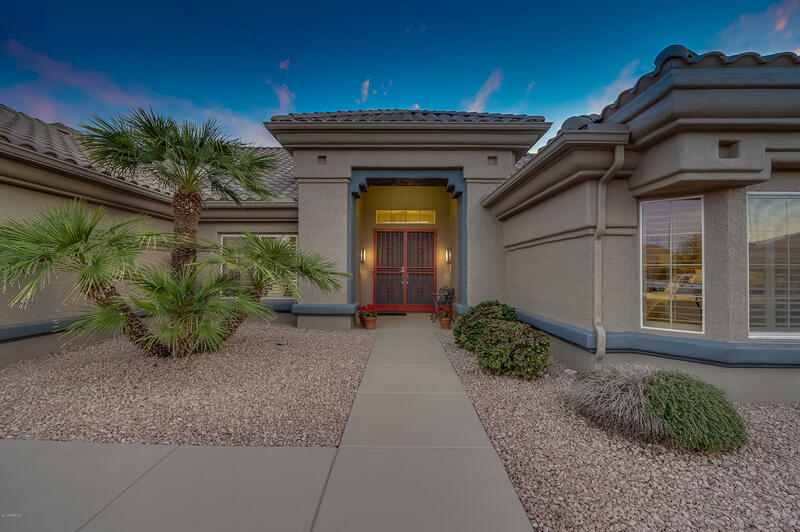 pendant lights over the breakfast bar & breakfast nook; Large Master bedroom and master bath w/double sinks and vanity; PRIVATE Guest BR suite with private bath; CASITA has private bath; Great room PICTURE WINDOWS fr"
"Situated on a PANORAMIC FAIRWAY Lot. NO HOMES ACROSS COURSE. North South Exposure with Unbelievable Sunrises, Sunsets and Mountain Views. Chef's Kitchen with Masterpiece Cabinets, Custom Shelving, Stainless Steel Appliances, Granite Tops and Backsplash, Wet Bar/Wine Cooler and rare Sandstone Flooring ($30,000 upgrade.) EXCELLENT CONDITION -- EXTERIOR RECENTLY PAINTED, NEW HOT WATER TANK, SUNSCREENS, GUTTERS, NEW EXTERIOR FIXTURES. Stonecreek Murphy's Bed in Casita , Plantation Shutters, Silho"
"WELCOME HOME TO PEACEFUL COMFORT, SKIES OF BLUE, ENDLESS DAYS OF FABULOUS SUNRISES & SUNSETS + ENDLESS PERENNIAL PANORAMIC GOLF COURSE VIEWS IN THE MIDDLE OF VIBRANT CORTE BELLA'S COUNTRY CLUB + 3 End Suite's w/Private Baths + Library & Powder Room +PRIDE OF OWNERSHIP+Large Great Room w/wall Of Windows, + Cozy Fireplace Overlooking Beauty At It Finest BACKYARD OASIS w/ Lighted Lush Flowering Trees, Plantings, Waving Palms. 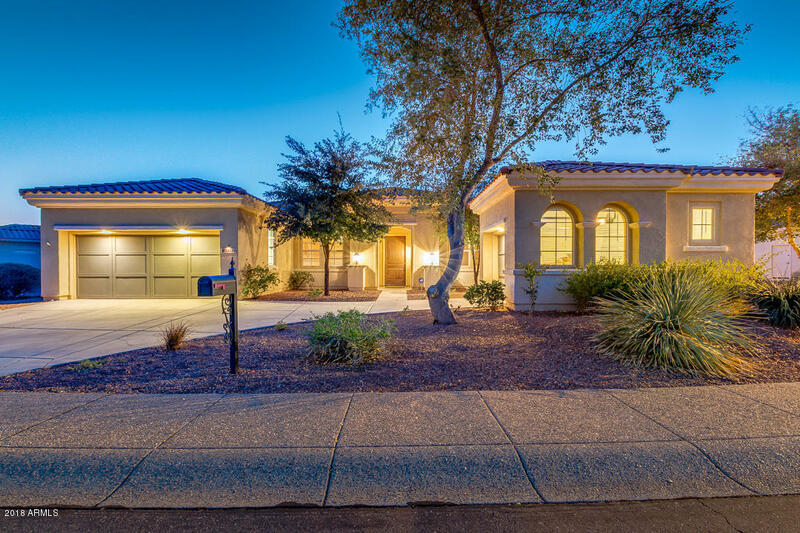 & ARTIFICIAL GRASS, Home Boasts Lush Carpet, Designer Window Treatments, "
"Absolutely stunning home located on the 18th Green in desirable Corte Bella community! 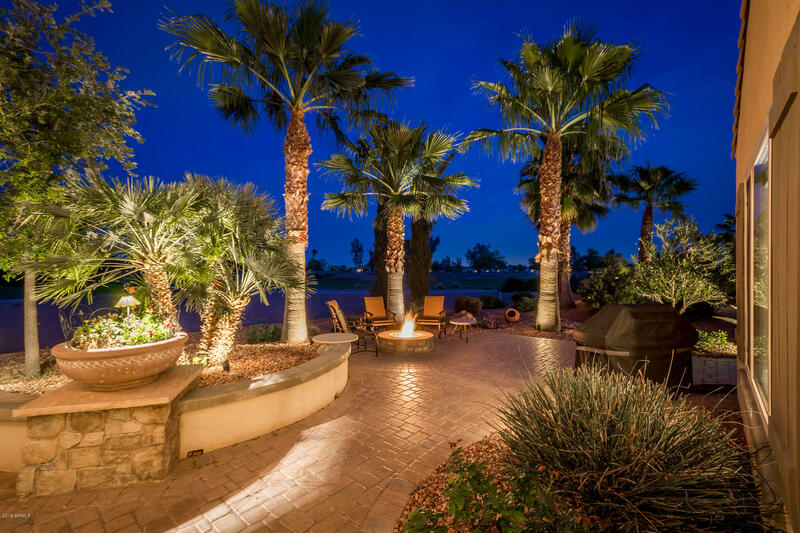 Enjoy beautiful sunsets and mountains views off the back patio while listening to a custom water feature. Step inside and you will find an open floorplan to include a dining and living room equipped with a custom fireplace and entertainment area. A fantastic eat-in kitchen with granite counter-tops and back-splash, maple cabinets, stainless steel appliances, walk-in pantry, and recessed lighting. You will ab"
"Prominent Trail Ridge Golf Course home with mountain views! Best curb appeal in town!! This expanded Montera model is 3800 sq ft on a 13,000 sq ft estate sized lot! Beautifully situated on the lot is this stone and stucco residence with 3 car gar and gated carport! Enter the residence through a gated courtyard with stone fireplace. Double doors enter to a lg living area, dining/reading room to the left, Gourmet kitchen w/ updated cabinets, SS appls, dbl oven, Quartz countertops, center isla"
"WOW! 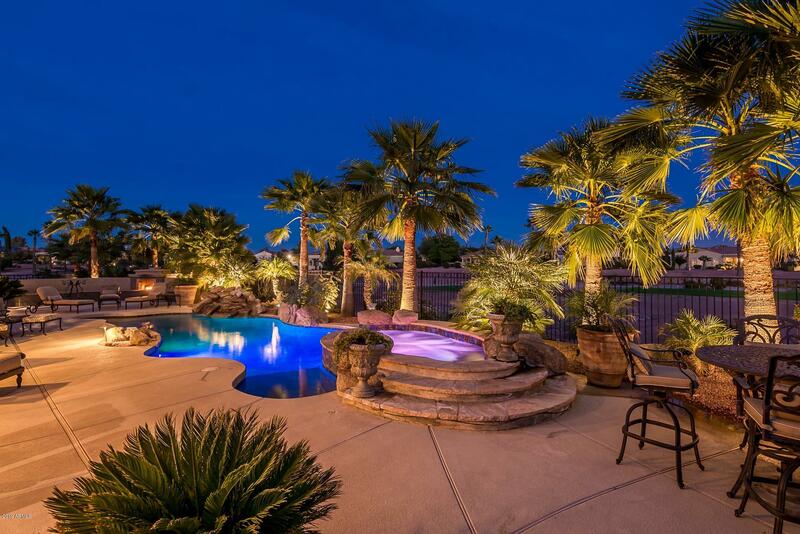 CORTE BELLA ULTIMATE SOUGHT AFTER CUL-DE-SAC+SPECTACULAR PRIVATE ENTERTAINING RESORT BACKYARD OASIS w/Outdoor Kitchen, Bristol Bar, Extra Large Firepit ,Multiple Sitting Areas, ++Raised Herb Gardens & Privacy Walls!! 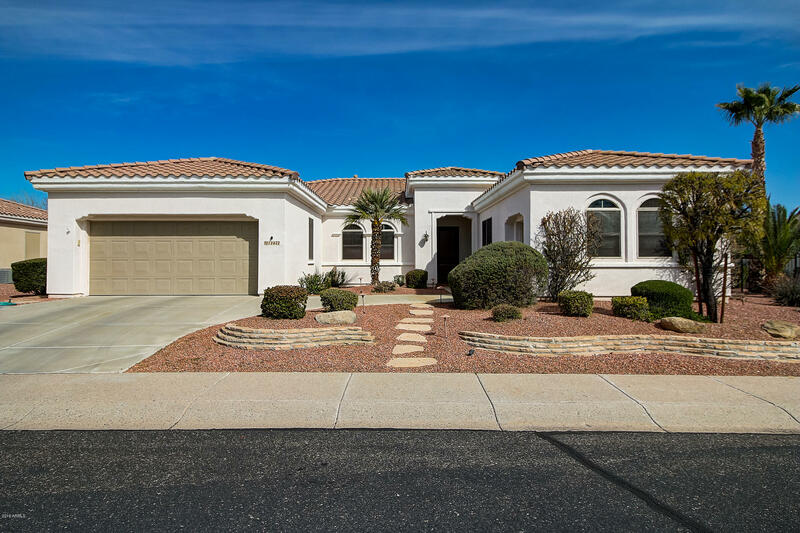 IMPECCABLY MAINTAINED 3,027 SQ FT, Split Suites Estate Model. Elegance Abounds w/Incredible Circular Foyer, Flanked by Formal LR & Formal DR,Wider Halls w/ Art Niches, Beamed 10' Ceiling, Taller Windows, Large Baseboards,+Designer Window Coverings.ONE OF KIND LIBRARY. Great Ro"
"ONE OF THE MOST SOUGHT AFTER CORTE BELLA COUNTRY CLUB GOLF COURSE LOCATION, ON THE GREEN OF A PAR 3, W/CART PATH ON OTHER SIDE!! Then Views From The Moment You Walk Into Open Floor Plan & Looking Through The Wall Of Windows To See Unobstructed Golf Green, Mountains, & Sunset Views From Cozy Fireplace!!! 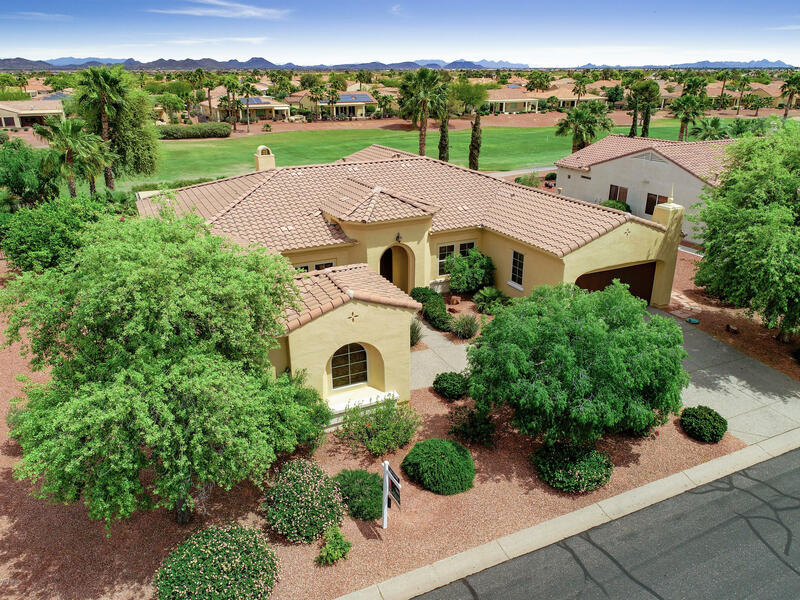 Home Is Designed To Entertain 2 END SUITE W/PRIVATE BATHS, Cozy Fireplace, Wet Bar w/Wine Frig, Library/Den w/French Doors, Powder Room, Upgraded Masterpiece Gourmet Open Kitchen w/Cherry Cabine"
"AMAZING Encanto With Casita in Corte Bella! Enter this home through a Private Porch & be greeted by an open Great Room w/ all the upgrades including Wood Tile Planks, Finished Book Shelves & Entertainment Unit, Flush Surround Sound Speakers in 9ft+ Ceilings. Adjoining the Great Room is a Large Dining Area. 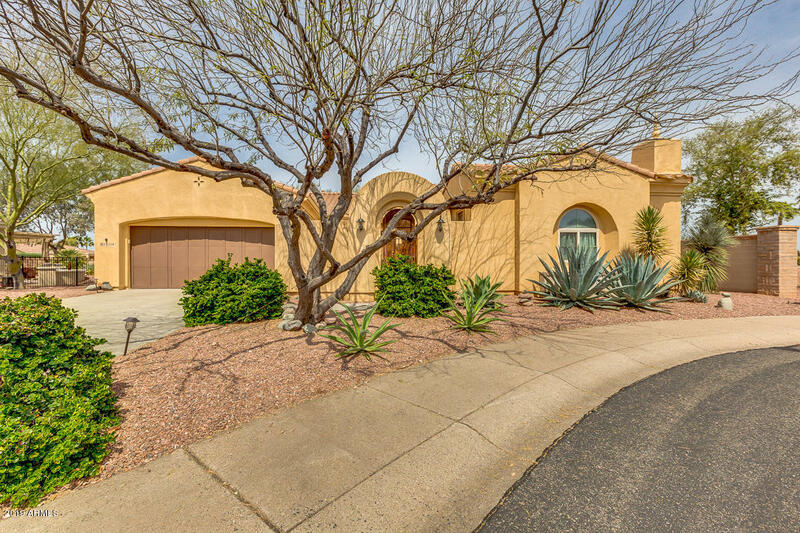 Continue onto to an Amazing Kitchen w/ Granite Counter Tops, over sized Kitchen Island, Upgraded Tall Cabinets, Breakfast Bar, Double In-Wall Stainless steel Ovens, Gas Cook Top & Built in Mi"
"Enter through the custom front gate onto a brick paved courtyard with a private separate casita. A beveled glass entry door opens to a one of a kind San Marco model amidst a completely remodeled kitchen with cherry cabinets, granite countertops and a surrounding peninsular bar. The kitchen which overlooks a flagstone wall in the family room has a gas cooktop, double-oven and stainless-steel appliances.The family room, master bedroom and closet are newly stone tiled with a wood floor look. 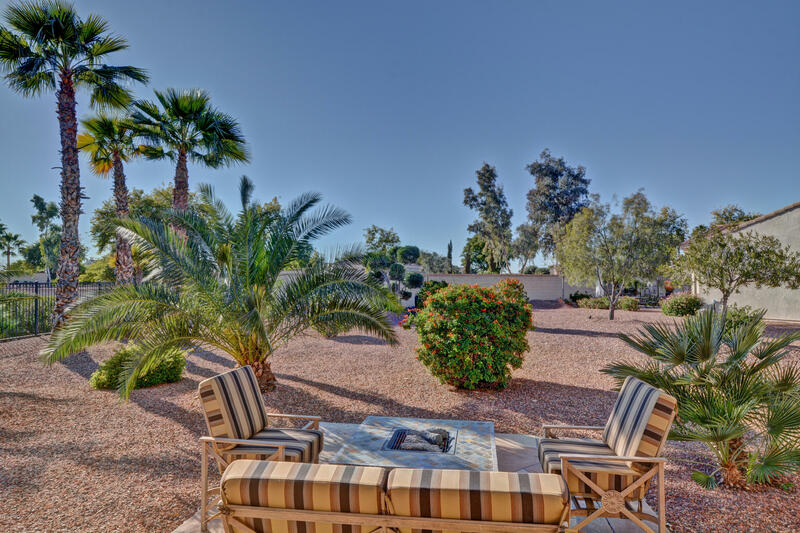 This i"
"COUNTRY CLUB living at it's finest in Beautiful CORTE BELLA!! 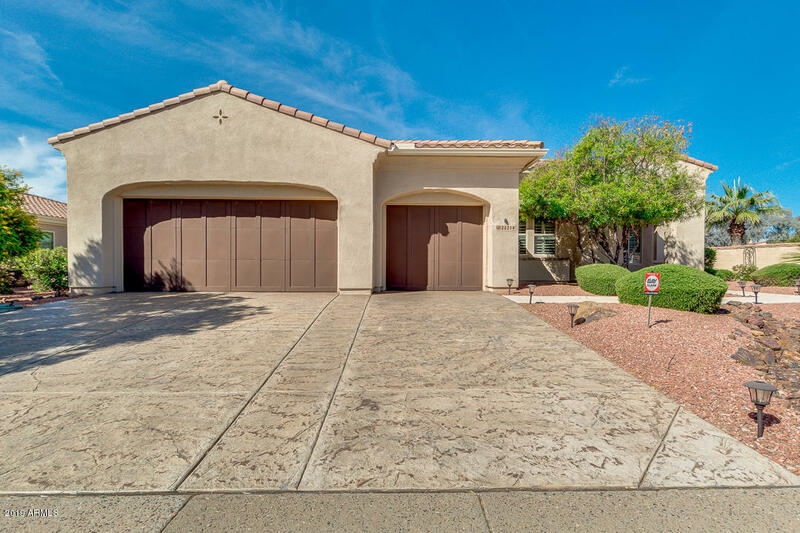 This lovely Mirada with Casita is sure to WOW from the finishes to the amazing corner lot in a Cul-de-Sac location. Walk through the entry gate into your private courtyard sanctuary and proceed through the, grand entry with octagon shaped Tray Ceilings leading to an expansive great room with gas fireplace and separate wet bar area with wine cooler to greet your guests. 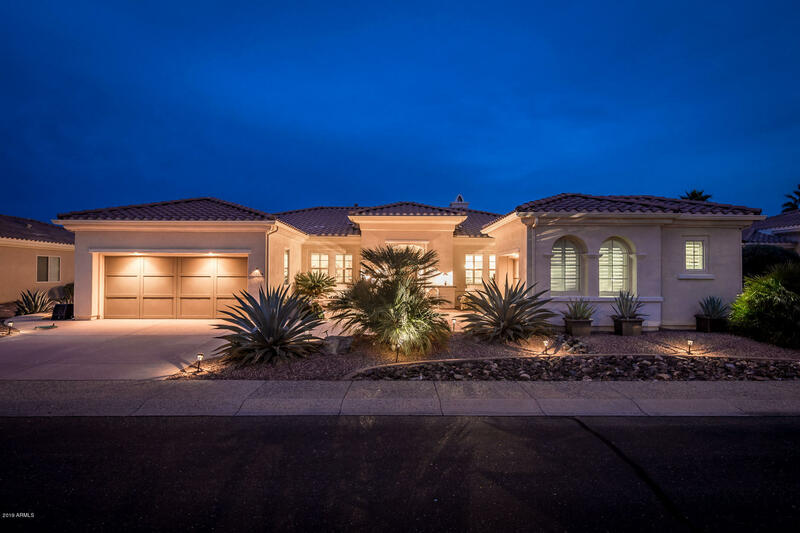 Kitchen is a chef's delight with its cherry cabinets, granite "
"Situated near the fabulous amenities in Corte Bella Country Club, this open floor plan w/wet bar and guest casita really has it all! 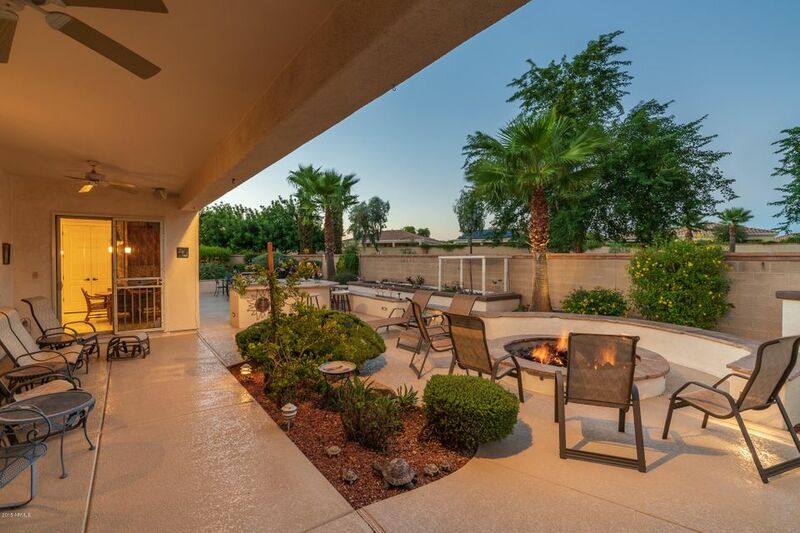 A 6' private, tiled courtyard welcomes you to this gorgeous home. Slate floors everywhere but the bedrooms. Masterpiece cherry cabinets;granite counters;full back-splash;stainless appliances;walk-in pantry.Breakfast room w/back patio access to b/i BBQ. 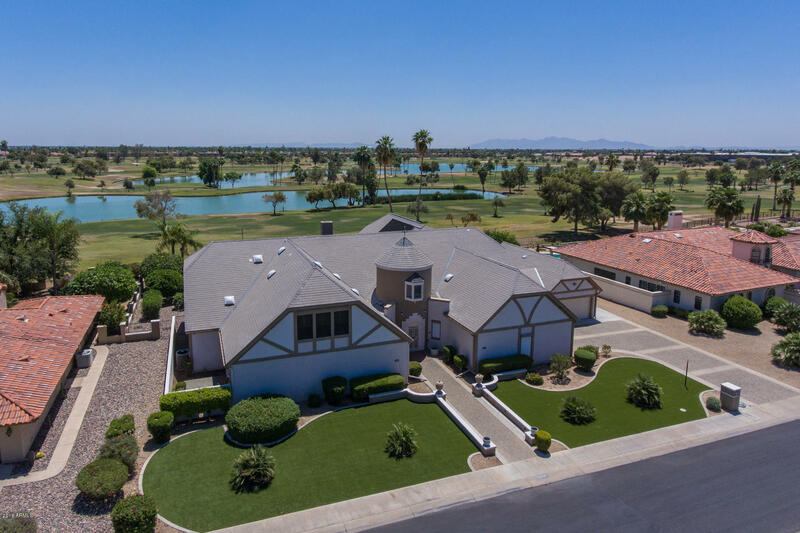 Great room has fireplace w/hearth; built-in media center.Over-sized master bedroom has bay window; large walk-in c"
"This home has beautiful maintenance free landscaping with amazing views of the golf course from the back yard, covered patio and AZ room. The home has two master bedrooms with full baths and large closets and a spacious guest room with a full bath next to it. 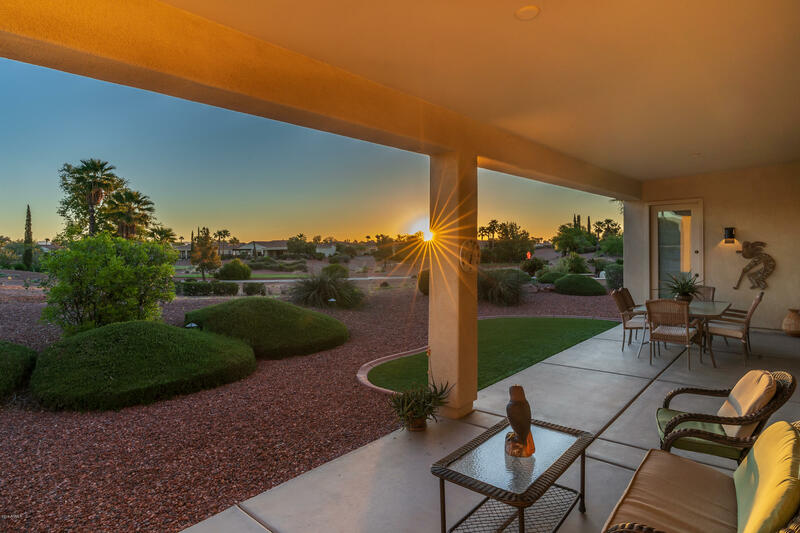 The spacious Arizona room is climate controlled and has a wall of glass to enjoy the back yard/golf course views. And for the car or craft enthusiast, there is four car garage parking (2 car tandem and 2 car side by side) and space for t"
"Country Club living at it's finest! 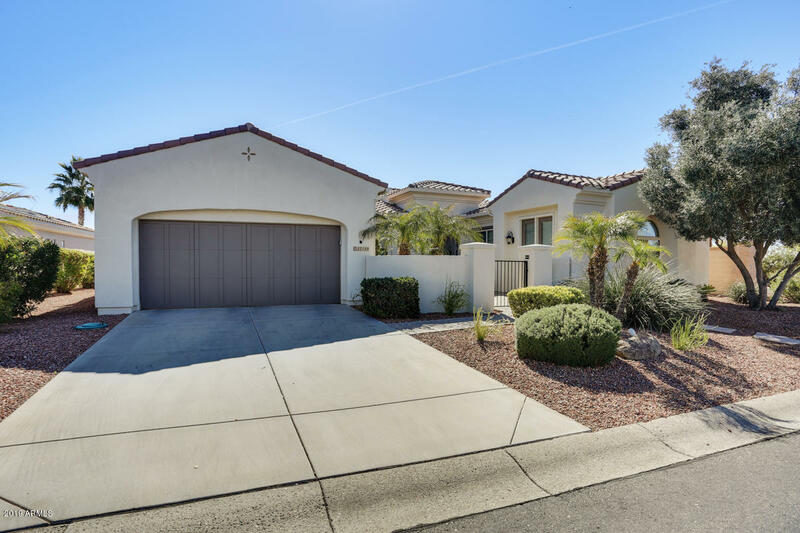 This lovely Mirada with Casita is sure to WOW from the finishes to the amazing lot with close proximity to Club and lots of privacy! Cul-de-sac location, oversized lot. Expanded garage holds two cars+ golf cart. Newer slab granite,Stainless appliances, breakfast bar and island,reverse osmosis,Upgraded cabinets.Plantation shutters,solar water heater,radiant barrier in attic,Enclosed front courtyard, water feature..Fireplace with built-in custom entertainment c"
"Popular Mirada model in the beautiful gated community of Corte Bella. 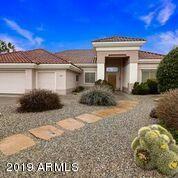 Open floor plan, 2593 square feet with 2 master suites, great room, wet bar, den and eat in kitchen. This lovely home has many features including 18'' neutral ceramic tile with carpet in bedrooms, gas fireplace, large master bedroom with bay window, double doors on the den and master bedroom, gourmet kitchen with stainless steel appliances, pull out shelves and large pantry, Corian counters and nice cabinets in the laundry roo"
"Exquisite semi custom Avalon Del Webb home on a large cul de sac lot. Amazing kitchen and eating area with corrian counter tops and huge centerisland and bay window. Formal diningroom and huge family room with gasfireplace. Three bedrooms. Master hasseparate sitting area and large walk incloset. Beautiful windows and pillars inhome and covered patio thatoverlooks large back yard with tangeloand grapefruit tree. Built in cabinets inlarge 2 1/2 car garage." 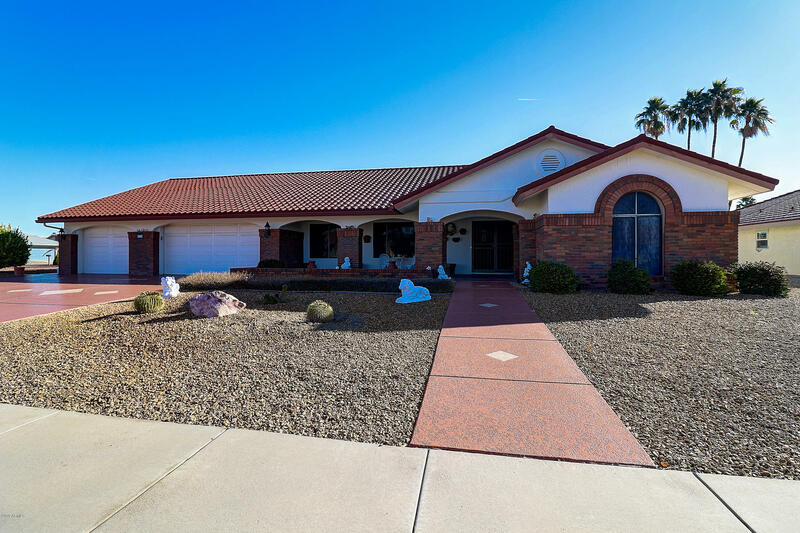 "This is a MAGNIFICENT home located in much desired Corte Bella community! Amazing interior finishes. BOTH ELEGANCE & COMFORT ARE COMBINED IN THIS EXTRAORDINARY RESIDENCE! This home is situated on an oversized lot and it features 10 foot ceilings, 3 car garage, 3 large bedrooms and a split master bedroom plan, den/office, majestic circular front entrance that leads in to the living room and kitchen. This popular Granada model has gourmet kitchen that features CUSTOM Cabinetry, granite counter to"